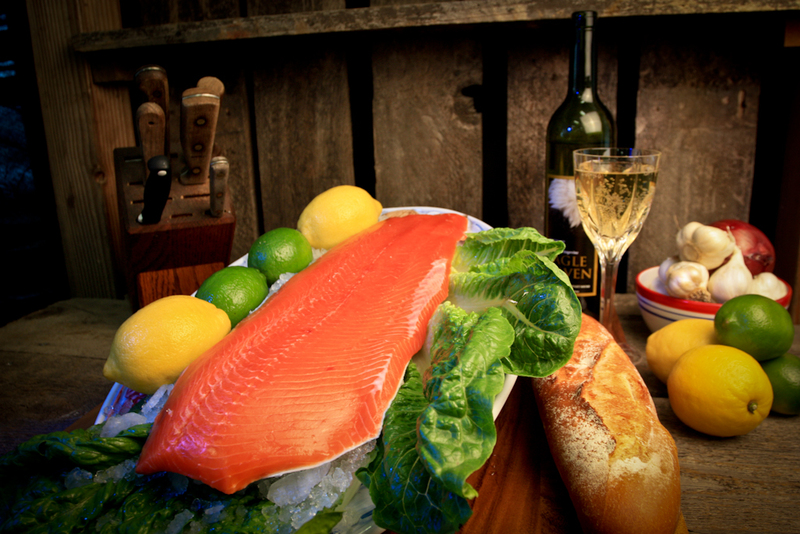 Coho or Silver Salmon are medium flavored with medium flakes and a moderate fat content. The flesh is lighter than both Sockeye and King Salmon. Most silvers are between 8-12 pounds, although they’ve been caught beyond the 30-pound range. Their meat is orange, like most salmon, from the krill they eat at sea. A coho will not be as orange-red as a sockeye or a king; it’ll be about the same color as a farmed Atlantic salmon. Eating wise, silver salmon have less fat than sockeyes or kings, but more than pinks or chum salmon. This means a coho can dry out faster than the other species. 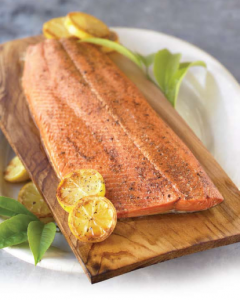 Coho salmon are a perfect poaching fish. Their relatively low-fat content benefits from the gentle cooking, which keeps it moist. A side of coho is also perfect for one of those poaching pans the fancy stores sell. Silvers do well as gravlax, the Scandinavian cured salmon, and they are great as sushi — if you’ve bought it frozen or put it into the deep-freeze for a few days.